To review the course in more detail on MapMyRun click here. While the course does not climb more than 200 feet / 60 metres above sea level, it goes up and down rather a lot in between. In consequence map-generated elevation charts can be misleading. A course profile generated from a GPS watch is shown below. Total course elevation gain is approximately 2,400 feet / 730 metres. Water and gatorade stations are less than 2 miles / 3.2 kms apart. There is one self-serve Gu gel packet station shortly before the turn around at Head Harbour light (16 miles / 25.7 kms). 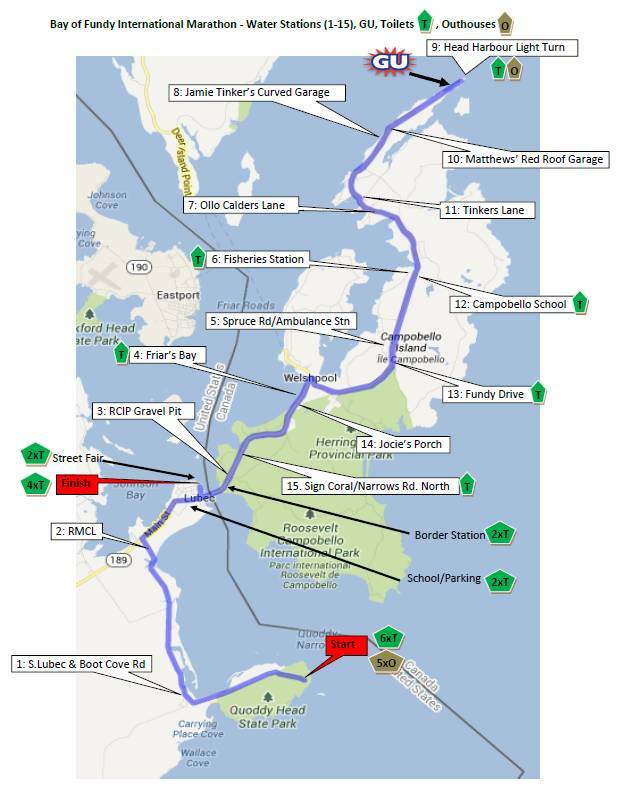 Runners may check one small soft bag at the starting area tobe transported to Lubec for retrieval near the finish line. The marathon course will officially close after 6.5 hours, at 1:30pm ET / 2:30pm AT, and all traffic controls, aid stations and other facilities will be closed down. Anyone still on the course after this time may continue to the finish, but the race organizers will take no responsibility for them–the timing booth will be closed and the finish area, aid stations and medical support tent will dismantled. 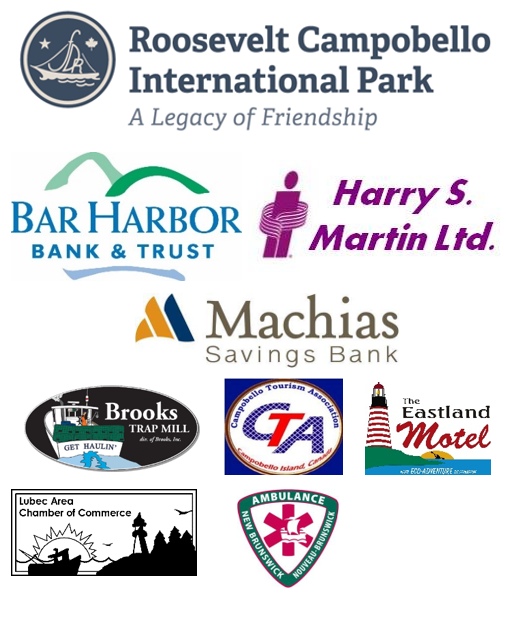 There will be a special early start for registered walkers at 05:30am ET (06:30am AT) (bus departs Lubec School at 05:00am ET / 06:00am AT). Anyone expecting to take longer than 6.5 hours on the course (i.e., a pace slower than 15 minutes per mile) must register for the early start. Anyone taking the early start who finishes in less than 6 hours may be disqualified. Early starters should note that there will be no traffic control in place until 6:45am and will not be allowed to cross the bridge into Canada (at 5.5 miles / 9 kms) until this time.